Dr Haile Fida Kuma has made an outstanding contribution to the development of Oromo national orthography. He was one of the pioneers who attempted to shade fresh on the history of the Oromo, the right of the Oromo people to speak, read and write in Afaan Oromo . He initiated Oromo studies in Europe and has made a major contribution both to our knowledge of Afaan Oromo grammar and to the discussion on how the language should be written 1968-1974. His first research paper was published in 1972, on Tatek, theoretical Journal of Ethiopian Studies in Europe entitled ‘Languages in Ethiopia: Latin or Geez for writing Afaan Oromo.’ He further published in 1973 Oromo Grammar book entitled ‘ Hirmaata Dubbi Afaan Oromo’: Haile Fida, et al. (1973). Hirmaata Dubbi Afaan Oromo, Paris and a literature book :‘Barra Birran Barie, paris,’ using his adopted 35 Latin Qubee alphabet. The books were as a result of his long-time study of the Oromo language and problems of Oromo orthography. In this groundbreaking Afaan Oromo grammar book, he adopted the Latin alphabet to the phonology of the Oromo language by modifying some of the shapes of the letters and adding subscript diacritics. He made distinctions between short and long vowels letters by using single vowels letters (i, e, a, o,u) for the former and double (ii, aa, oo, uu) ones for the latter. 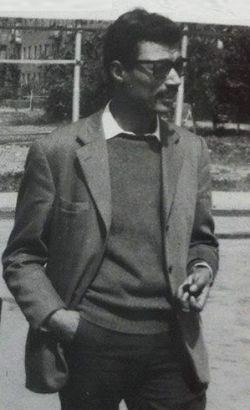 He presented the finding of his research to the conference of Ethiopian Student Union in Europe in 1972 and this brought a debate on language issues within the Ethiopian and Oromo students movement abroad (see, Dr. Fayisa Demie. 1996. Historical Challenges in the Development of the Oromo language and Some Agendas for Future Research, Journal of Oromo Studies, Vol.3, no.1 &2, pp. 18-27. Oromia Quarterly. Fayisa Demie. 1999. The Father of Qubee Afaan Oromo: A tribute in Honour of Haile Fida’s Contributions to the development of Oromo Orthography, Oromia Quarterly, Vol.. II, no.3. Pp. 1-5.) His knowledge on Oromo language was so encyclopaedic and his contribution to the Oromo studies in Europe was so well known at the time and his contribution was greatly acknowledge by the Oromians who know him very closely. Oromo national Organisations have started to use Qubee Afaan Oromo from 1970s. Oromo national Convention in 1991 endorsed the use of Qubee all over Oromia. Dr. Haile was assassinated by the Dergue Ethiopian regime before seeing this remarkable achievement in the use of Qubee in Oromia which is the greatest milestone in the history of the Oromo people. Dr. Haile Fida completed his initial primary education at Arjo primary school and junior garde 7-8 at then Haile Selassie I Secondary school in Naqamtee followed with secondary education at General Wingate school in Finfinnee and undergraduate at Finfinnee University (Science Faculty, Geology Department). Haile was an outstanding student while he was in General Wingate secondary school and the university. He completed his secondary education with 10A’s and 2B’s and his Undergraduate University with distinction with GPA 4. After graduation from the Department of Geology he was employed as a graduate assistant and became a lecturer in the same department. He left to France to pursue a postgraduate studies. Haile studied MA in sociology and social anthropology and PhD in philosophy at the Le Palais De L’ Academie Paris. While he was in Europe he was an active member of the Ethiopia students Union in Europe and an Honorary secretary of the French Socialist Party . Dr. Haile was married to Mme Marie and survived with two children. Haile belonged to a group of generation of Oromo nationalist who embarked on arduous struggle to liberate the Oromo nation from Ethiopian oppression in two different strategies . The first Oromo group were convinced the Oromo question is a colonial question and argued the solution to the Oromo question is the liberation of Oromia from Ethiopian Colonialism. Indeed to show the Oromo identity as a colonial people deprived their right to govern themselves democratically and oppressed by Amhara/ Tigrai colonial settlers, they have put forward historical evidence which support the Oromo case. The second group, in which Haile belonged, argued the Oromo question is a national and it is possible to solve the problem through the democratisation of the Ethiopian state. As part of their struggle against national oppression this group of Oromos have attempted to take forward the national question high in the agenda of the Ethiopian student movement and other Ethiopian organisations that were mushroomed since the Ethiopian revolution in 1974. The first members of this generation were born in the early 1940’s and the youngest in the early and mid 1950’s. It was a generation of Oromo activists who came together to struggle against national oppression. Most of them killed while struggling for the Oromo cause or while attempting to change Ethiopia. Indeed, Haile was one of the victims who died while attempting to change the environment of national oppression in Ethiopia. He was killed by Ethiopians while struggling against national oppression and for the right of the Oromo people to speak and write in their language. His early death robs Oromia an enthusiastic, hardworking and committed Oromo professional. The inspiration he provided throughout his life continues to influence Oromo scholars and new generations in the field of Oromo studies.